Do you know how to diagnose plantar fasciitis? If you are experiencing pain on the bottom part of your heel, you need to read on. Actually, the diagnosis may be fairly simple. Even though there are 17 Common Causes of Heel Pain, plantar fasciitis is by far the most common. It has characteristics that distinguish it from other causes. 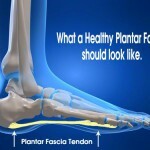 In order to diagnose plantar fasciitis, you need to understand what it is. Medical websites define it well so I will begin by sharing a few of their definitions. One out of every 10 people in the United States will suffer with heel pain during their lifetime. The first step (pun intended) in treating the pain is to understand more about your plantar fascia. That’s the tissue on the bottom of your foot that actually gets injured. It runs the length of your foot, connecting the heel bone to your toes. Dr. Andrew Belis, foot and ankle surgeon at Orthopedic Center of Florida, states in his paper entitled A Patient’s Guide to Plantar Fasciitis (Heel Pain) that, “The plantar fascia is a structure that runs from the front of the heel bone to the ball of the foot. This dense strip of tissue helps support the arch of the foot by acting something like the string on an archer’s bow.” This description of the string on a bow is also used on other sites. He describes the action involved by noting that the entire weight of our body is fixed on the fascia whenever our foot is on the ground. 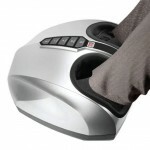 This puts significant force on the tissue, stretching it as the arch of our foot begins to flatten from our body weight. The action is similar to a bow string, which attempts to straighten itself when it is stretched from the force at the two ends of the bow. How much force can our plantar fascia withstand? Apparently, we can abuse them quite a bit and get away with it. According to Dr. Vinod Panchbhavi, writing on Plantar Heel Pain, the soft tissue of the fascia acts like a shock absorber, allowing our heels to absorb 110% of our weight while we are walking and up to 200% of our weight as we run. 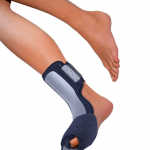 Plantar fasciitis is first and foremost an injury due to repetitive strain. It is not the same type of difficulty as flat feet or heel spurs. These are related, however, and often are confused. Another source, the American Podiatric Medical Association (APMA) adds that this typically occurs if and when the fascia is “strained over time beyond its normal extension.” They add that such abnormal straining can come about due to shoes with poor support, particularly for the arch of the foot, or be caused by an athletic lifestyle. 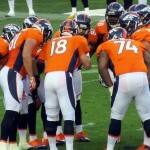 He notes that the fascia isn’t a tendon, however, because tendons connect our muscles to our bones. Instead, it is connective tissue that is actually more similar to a ligament that spans the arch of the foot, connecting bones to bones. Understanding this difference, he states, if essential for proper and effective treatment. Muscles in the foot and leg, together with the plantar fascia, support our foot arch, allowing it to be springy. If the arch is too springy, our foot will flatten and stretch the fascia too much. On the other hand, if the arch does not have enough spring in it, the fascia will be forced to absorb too much weight. Either situation will cause the plantar fascia to burn. If your first few steps out of bed in the morning cause severe pain in the heel of your foot, you may have plantar fasciitis. The first time I encountered plantar fasciitis, I practically fell on my face when I got out of bed in the middle of the night. The interesting thing is, the pain usually begins to subside during the day after you have walked around a bit. That is, of course, unless you have a more severe case of this ailment. Most likely, you will not even experience the pain while you are exercising, however, you may feel it after you finish. Note that the pain can often get more intense in the late afternoon and evening. This is especially true if you tend to be on your feet the greater part of the day. Other triggers may include extensive walking, getting up from a seated position, or getting out of your car after driving for a long period of time. One of the triggers I’ve encountered is when my heel is resting uncomfortably on the floorboard as I am driving my car. If I don’t move my foot enough or keep it straight, with less pressure on the heel, the pain becomes more intense. Can Plantar Fasciitis Be Cured? These are good statistics, especially since more than two million Americans get treatment for plantar fasciitis each year. Unfortunately, the true, specific cause of heel pain isn’t actually known. As time passes, however, more and more is being learned and documented about these difficulties. Hopefully, before too many more years pass, the research taking place will help us find even better and quicker methods for eliminating heel pain completely. Hi Lorna. Maybe between your back pain site and my heel pain site we can help some people. Now we need a leg pain blogger. I’ve suffered with P.F. for years now and your advice is good advice: prevention is much better than trying to cure it given there are no legitimate medical treatments for P.F. quite yet. Thanks for your comment, Denis. Certainly there isn’t one medical treatment that will work for everyone. Each person’s case is a little different. 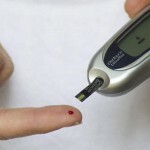 There are certainly some treatments that work for given individuals. Unfortunately, sometimes it takes a lot of trial and error to find that one right treatment. Massage Self Treatment for Heel Pain Relief talks about some self-massage techniques that might be worthwhile if you haven’t tried them yet. Great advice! I love the prevention tips. Thanks for sharing. You are very welcome, Patrick. I’m glad you found the info helpful. It’s good to know that severe heel pain can be a sign of plantar fasciitis. I’ve been having some pretty bad heel pain lately, and I haven’t been able to figure out how to get it to go away. I wouldn’t mind seeing a podiatrist to see what can be done to help my foot pain. Definitely would be worthwhile to go see a podiatrist and get a diagnosis. 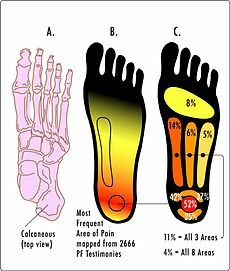 As you probably noted, there are several links on this page that lead to other documents delving into and explaining various causes of heel pain. 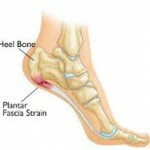 Plantar fasciitis is the most common cause. In the meantime, you might want to check out the RICE method for initial therapy. Then you might try a few free options such as: toe exercises, epsom salts, and/or water bottle therapy.